SELinux (Security Enhanced Linux) is a Linux kernel security module that allows administrators and users more control over access controls. It allows access based on SELinux policy rules. 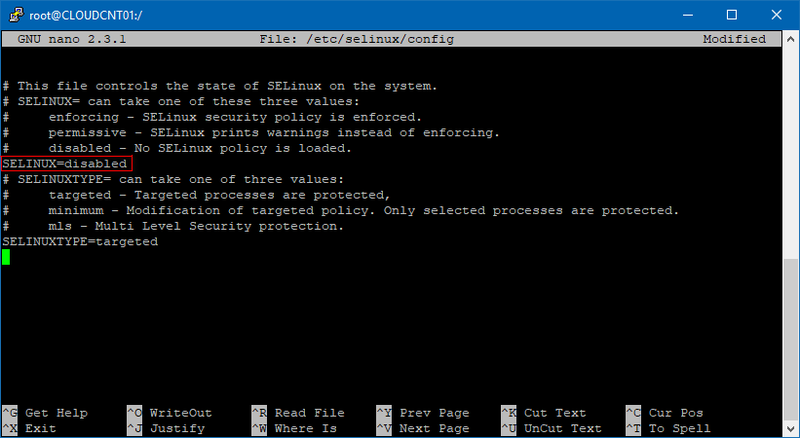 SELinux policy rules specify how processes and users interact with each other as well as how processes and users interact with files. If there is no SELinux policy rule that specifically allows access, such as for a process opening a file, access is denied. Enforcing: SELinux allows access based on SELinux policy rules. Permissive: SELinux only logs actions that would have been denied if running in enforcing mode. 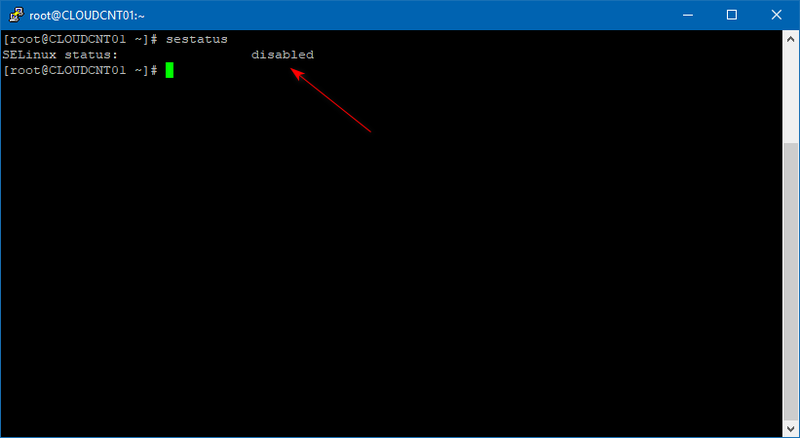 Disabled: No SELinux policy is loaded. 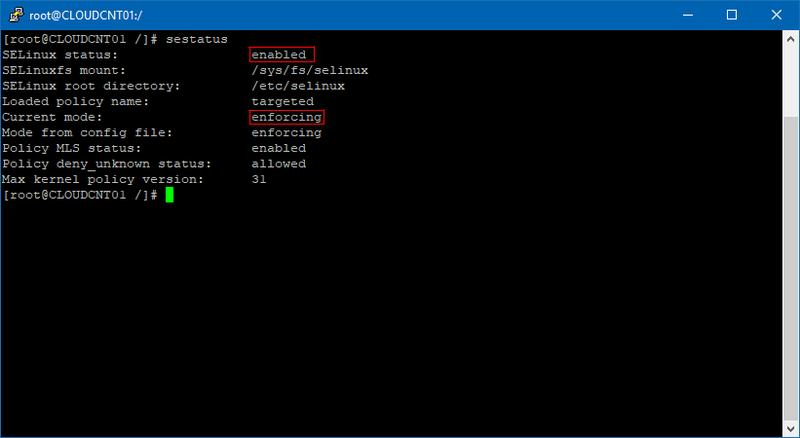 By default in CentOS 7, SELinux is enabled and in enforcing mode. It is recommended to keep SELinux in enforcing mode, but in some cases you may need to set it to permissive mode, or disable it completely. 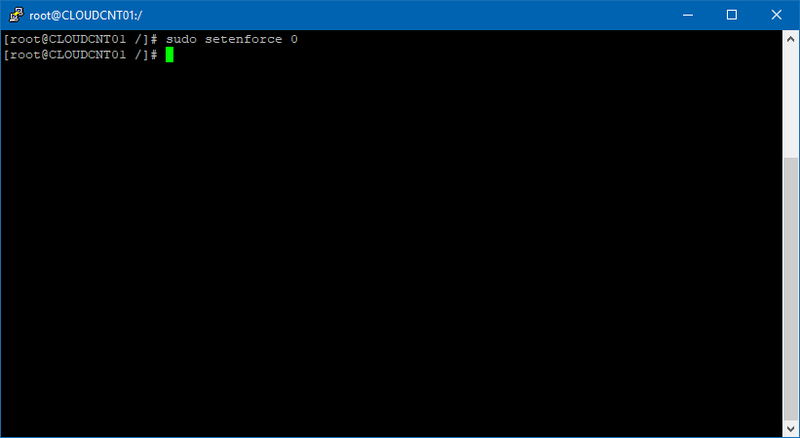 In this article I’ll will show you how to disable SELinux on CentOS 7 systems. Before starting, make sure you are logged in as a user with sudo privileges. You can see from the output above that SELinux is enabled and set to enforcing mode. 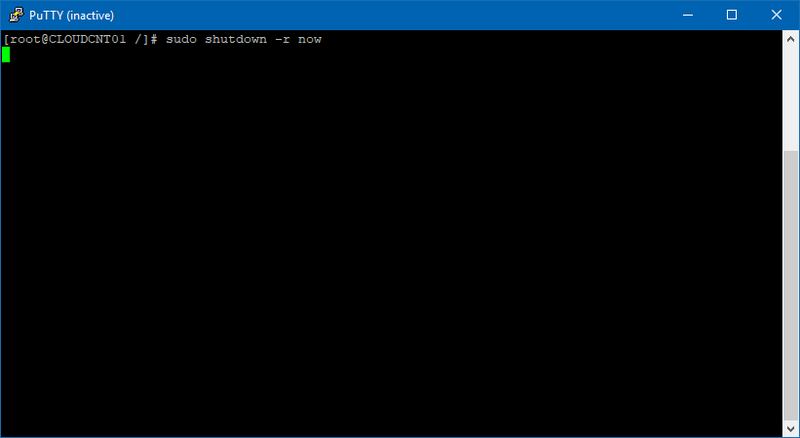 However this change will be valid for the current runtime session only.